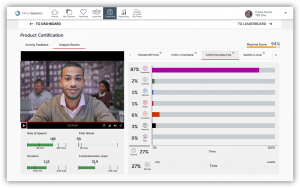 Brainshark has unveiled Machine Analysis, an artificial intelligence (AI)-powered engine that improves sales coaching – augmenting coaches’ feedback and scoring to help sellers stay on-message and improve performance. Building off Brainshark’s award-winning, video-based sales coaching solution, these first-of-their-kind coaching capabilities offer automated, actionable insights that help ensure salespeople master critical messages before they get in front of a buyer. Brainshark is a leading SaaS-based sales enablement and readiness solutions provider. 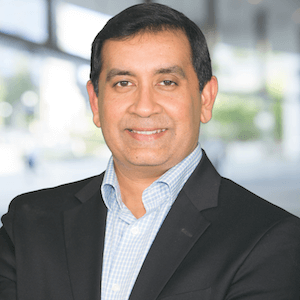 As AI percolates into the enterprise, sales organizations have distinguished themselves as early adopters – using AI, for example, to improve forecasting and pipeline analytics, and to manage inbound leads. Gartner estimates that by 2020, 30% of all B2B companies will employ AI to augment at least one of their primary sales processes. Yet the technology previously has held untapped potential in the realm of sales readiness – with Brainshark now introducing a solution that creates an engaging practice environment for sellers and helps managers streamline and prioritize feedback. 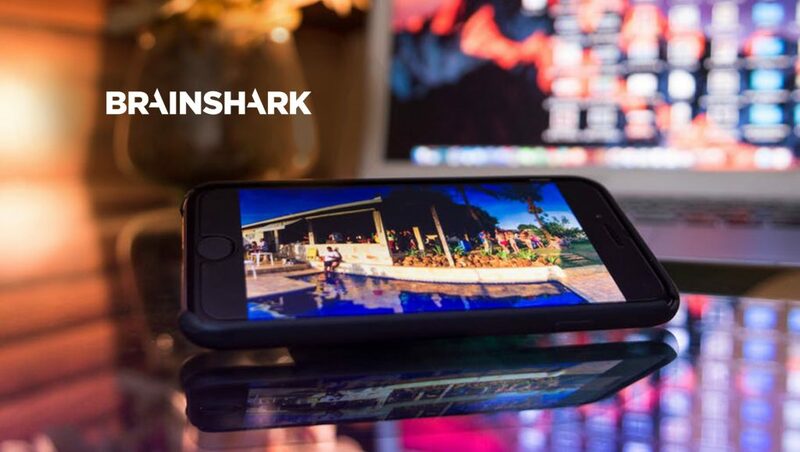 Brainshark’s Machine Analysis analyzes videos that reps submit through Brainshark’s sales coaching solution – often videos of the rep pitching a new product, handling common objections, etc. 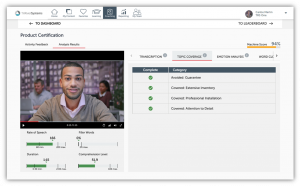 Machine Analysis transcribes the videos and auto-generates an analysis and score for each submission, factoring in whether sellers adhere to manager-defined parameters, including coverage of key topics, speaking rate, low level of filler words (“um,” “uh,” etc.) and more. 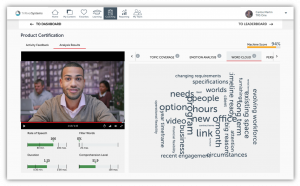 Managers have the option to sort video submissions by the machine score, before providing their own manual reviews and feedback through Brainshark’s coaching solution. How Can AI Augment What Sales Managers and Professionals Do? “For many companies with large sales forces, it’s important for managers to be able to easily identify who needs the most coaching, and on what,” said Tracey Abby, Director of Global Sales and Channel Enablement at Tenable, the cyber exposure company.